Capsula Mundi is a cultural and broad-based project, which envisions a different approach to the way we think about death. 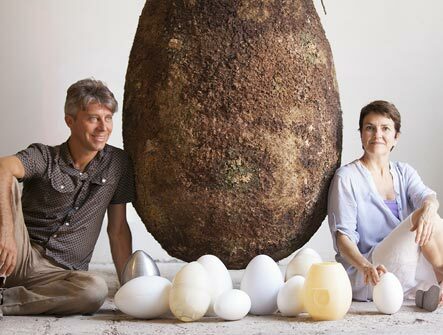 It's an egg-shaped pod, an ancient and perfect form, made of biodegradable material, where our departed loved ones are placed for burial. 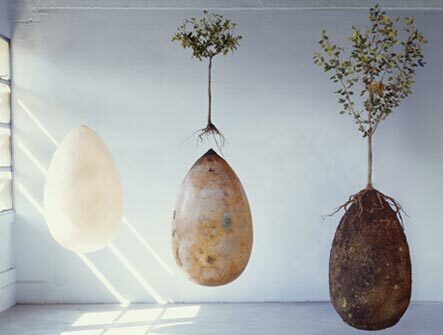 Ashes will be held in small egg-shaped urns while bodies will be laid down in a fetal position in larger pods. The Capsula will then be buried as a seed in the earth. A tree, chosen in life by the deceased, will be planted on top of it and serve as a memorial for the departed and as a legacy for posterity and the future of our planet. Family and friends will continue to care for the tree as it grows. Cemeteries will acquire a new look and, instead of the cold grey landscape we see today, they will grow into vibrant woodlands, sacred forests. We believe that this unavoidable passage, so meaningful, is not the end, but the beginning of a way back to nature. Inspired by these reflections, we decided to redesign the coffin - an object entirely left out of the design world - using ecological materials, and laic and universal life symbols, such as the egg and the tree. The biological life cycle and its transformations are the same for every living being. It is time for humans to realize our integrated part in nature. Capsula Mundi wants to emphasize that we are a part of Nature’s cycle of transformation. This universal concept goes beyond cultural and religious traditions. 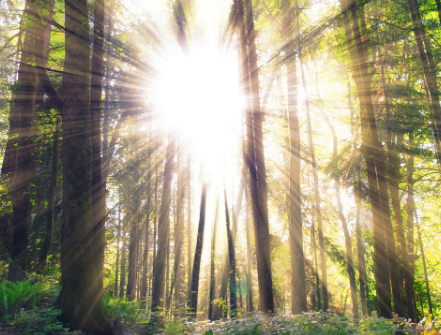 Only a tree, a symbol of the connection between the sky and the earth, will mark the resting place of the deceased. As tree after tree is planted, the cemetery will become a forest, free of the architectural motifs that mark today’s memorial grounds. The cemetery will be transformed into a place of nature, one where families can stroll and learn about the natural world, where communities will come together to tend and care for trees. In short, it will become a sacred forest. Presently, to make a coffin, a tree must be cut down. The coffin has a short life cycle and a strong environmental impact. A tree takes between 10 and 40 years to reach maturity and the coffin is of use for just three days! We want to plant trees instead of cutting them down! Furthermore, Capsula Mundi urns are made from 100% biodegradable material and come from seasonal plants. 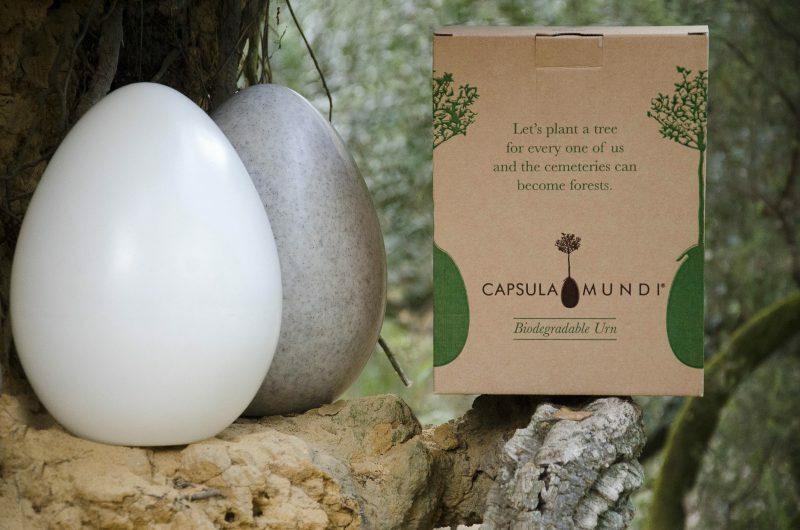 The Capsula Mundi urn is a biodegradable urn. The ashes are put in through a hole, closed with a cone shaped screw top. After the burial, a tree, chosen in life by the deceased, in consideration of the local ecosystem, will be planted in top of it. Capsula Mundi urn is made in Italy. Each urn is unique, thanks to handcrafted interventions during production. And it comes in two versions: Sand and White. Capsula Mundi for the body is still in a start-up phase. This kind of burial is legal in many countries but not everywhere. In Italy, where this project was born, only the Capsula Mundi urn is permitted. However, "green cemeteries" are popular in many other countries, especially in the English speaking countries. Since 2003, when Capsula Mundi was exhibited for the first time at the “Salone del Mobile” (an international furniture exhibition in Milan, Italy) our team has been working to raise awareness and to promote the idea, fully convinced that before changing laws, we need to challenge the way people think. HAVE A LOOK AT CAPSULA MUNDI'S EXHIBITIONS!